Man cave staging is a risky investment for any homeowner who chooses to leave their man-space fully intact before listing their home for sale. While many men like the idea of having their own personal “lair”, it is crucial that all the other more important buyer criteria are met first. Therefore, I generally only recommend leaving a “man cave” in homes which are large enough to allow all other more universally appealing room criteria be met as well. 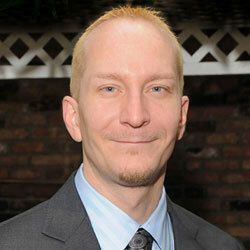 This dialog examines the value of home staging a man cave space as an enticement to prospective buyers. 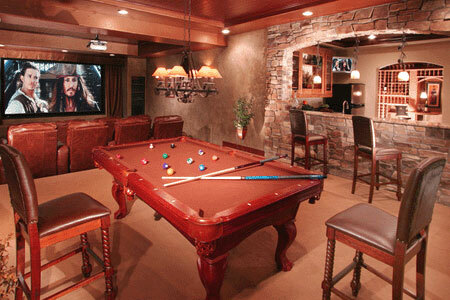 A man cave is a room for the guys to hang out, watch sports, play games and otherwise be men. Sometimes, man caves may contain a bar or even a cigar smoking area. Pool tables, video game systems and huge televisions are the rule here, as are large and comfortable pieces of furniture with lots of room for a guy’s buddies to come over and hang out. Staging a man cave generally involves creating a space which is desirable, but sophisticated, so the stager may have a challenging time getting the man of the house to compromise their comfort and aesthetic preferences while the home remains on the real estate market. In order to make a man cave more appealing, I usually recommend staging it as a secondary den or family room. This way, the space has value for the entire family and some touches, like the aforementioned big screen TV, still appeals to dad. The furniture may require a bit of alteration to make it more proportionate to the room and some art and décor touches may need to be added to address the feminine side of the space, as well. However, most man caves are easily converted to a family space for the sake of staging to sell. If you have a truly huge house with all the other buyer requirements well addressed, then you may be able to simply spruce up that man cave and leave it as is. However, in most instances, a complete overhaul to a more functional and general purpose room will better serve the overall home staging design. 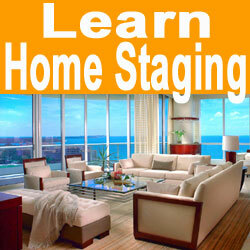 Remember, the purpose of staging is to sell the home. Once it is sold, you can move that man cave to your new house, push a boulder in front of the door and become a caveman for as long as you like. In the meantime, you may have to rejoin society and sacrifice your guy space for the good of your family and their financial future.